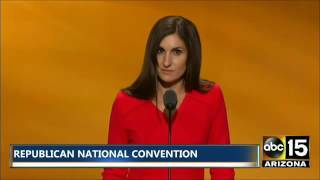 DAY 3 - Newly minted vice presidential nominee Mike Pence highlights Wednesday’s third day of the Republican National Convention. The party plans to trot out a handful of the nominee’s former rivals and other notable conservatives all touting the day’s theme: ’Make America First Again’. 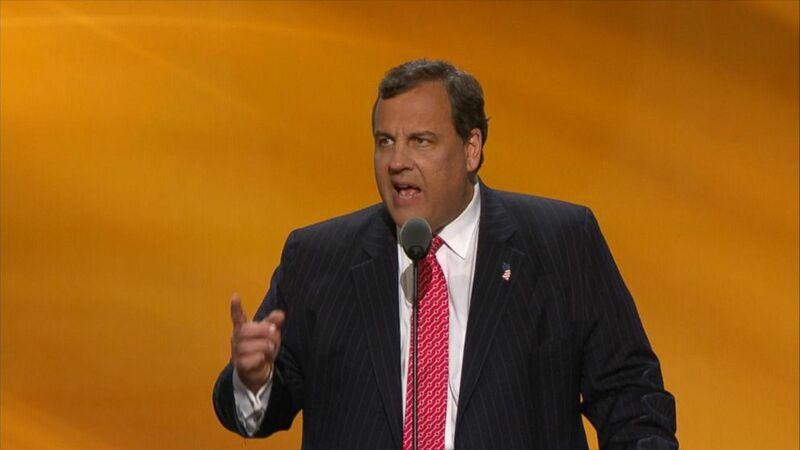 Convention audiences don't typically get to see their nominee until he accepts the party's nomination, but Trump is not a conventional nominee. While Trump isn't scheduled to accept the nomination until Thursday, he told the convention audience that he'll be in Cleveland on Wednesday with Pence. DAY 3 - Here's how one man tried to block out some speech during demonstrations Wednesday at Public Square in downtown Cleveland. MAKE AMERICA WORK AGAIN DAY 2 - Dr. Ben Carson stresses that “Never Trump” Republicans need to use “their God given brain” and reason why it’s important to support Republican nominee Donald Trump over presumptive Democratic nominee Hillary Clinton. “I hate political correctness,” Carson said during his speech at the Republican National Convention, as the crowd cheered in approval. “The secular progressives use it to make people sit down and shut up while they change everything.” Carson referenced people in the Republican Party who aren’t supporting Trump, saying they argue that if Clinton were elected, it’s only four years. 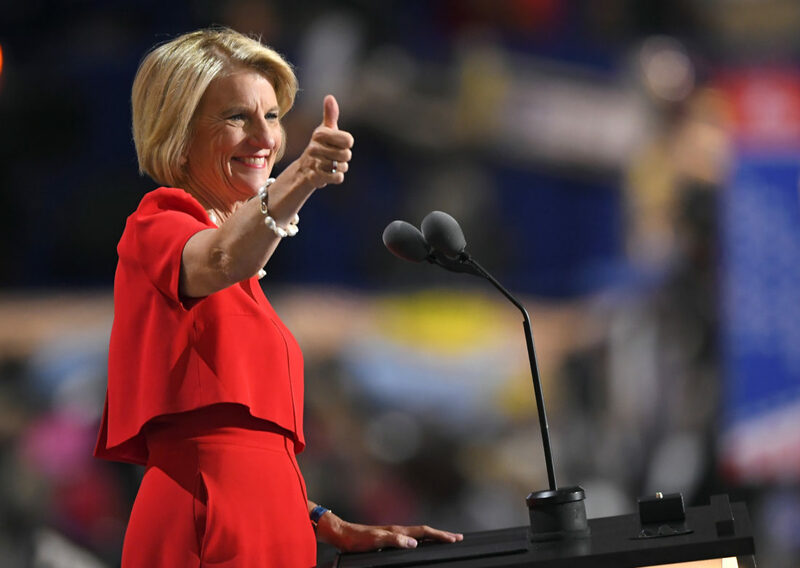 MAKE AMERICA WORK AGAIN DAY 2 - U.S. Sen. Shelley Moore Capito delivered some fiery words Tuesday night at the Republican National Convention in Cleveland. Capito said Democratic presidential nominee Hillary Clinton "understands coal workers about as well as she understands secure emails." Capito said. "A day in the life of a coal miner and a day in the life of Hillary Clinton could not be more different,"She told convention goers that since 2011, nearly 60,000 coal employees have lost their jobs. MAKE AMERICA WORK AGAIN DAY 2 - Donald Trump’s son Don Jr. touted his father’s leadership skills and the value of hard work during his speech at the Republican National Convention on Tuesday night. "His true gift as a leader is that he sees the potential in people that they don't even see in themselves." Don said. "From a very young age he knows the heart of the American Dream is the idea that whoever we are wherever from we can get ahead where everyone can prosper together" said Don. "A president who unleashed the greatness in our nation and in all of us will give the hard-working men and women who built this great country voice once again that President can only be my mentor, my best friend, my father, Donald Trump"
MAKE AMERICA WORK AGAIN DAY 2 - Kerry Woolard, general manager of Trump Winery near Charlottesville, extolled Donald Trump as a visionary leader during her speech Tuesday night to a national audience at the Republican National Convention in Cleveland. Woolard said the winery employs more than 100 people and supports "countless other entrepreneurs, contractors and suppliers throughout the region." She added: “Our success would not have come to pass without the leadership and the vision of the Trumps. MAKE AMERICA WORK AGAIN DAY 2 - Tiffany Trump, Donald Trump's youngest daughter Tuesday night at the Republican National Convention focused her speech on knowing Donald as her father, and how he supported her through the ups and downs of her life. She mentioned that when someone "near and dear" to her died, he was the first to call. "I believe the measure of a person is revealed in their darkest times," she said. "For me, the measure of a parent is based on how they support and bolster you when you're down." She also said she still keeps all of her childhood report cards because of her dad's sweet messages on each one.